Looking for boxing gifts and ideas? Look no further! The holiday season is upon us, and everybody is looking for those Christmas (or even birthday) gifts. Sometimes the problem isn’t finding the gift, it’s finding the right one. This can be hard enough with any person, but finding the right gifts for boxers can be even harder! We’ve got you covered though, so read on for some great ideas. Whether you want ideas for a boxer, a fan or enthusiast, or even a coach / instructor, there’s something for everybody. With the number of yearly deals that come around this time of year, like Black Friday & Cyber Monday, you may be able to grab a great deal, so we’ve included some site suggestions for you to have a look around. Now let’s take a look at 16 of the best presents for boxing fans. At the bottom of the page we’ve also added a list of deals and special offers that we have found for you. We will try to keep this updated for all big occasions like Christmas, Boxing Day, Halloween, Black Friday & Cyber Monday. You can scroll down and take a look at our great gift ideas. Now let’s take a look at 16 of the best presents for boxing fans. 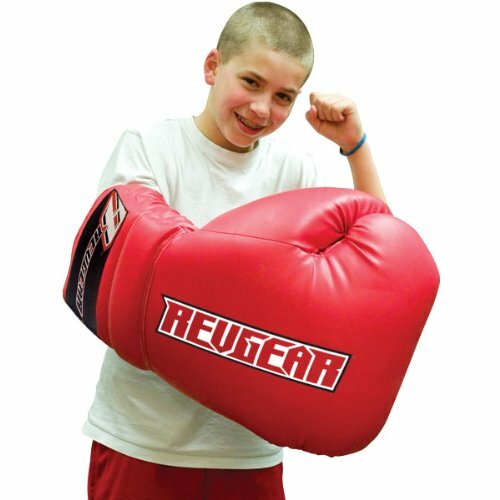 The Revgear Jumbo Gloves are the perfect gift for the boxer or child of a boxer in your life. Measuring about 2 ft. in diameter, they are a super fun option for some live action boxing fun in the home. These novelty gloves allow for safe bouts with all the fun fighting benefits, while ensuring to get a laugh out of anyone who chooses to put them on. Check out this video for a quick and incredibly entertaining demo to see them in action. T-shirts are more often than not a really safe bet for pretty much anyone. Particularly a fighter! 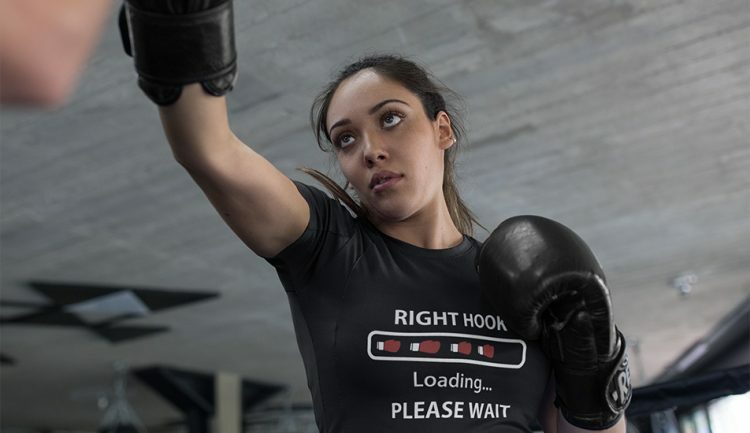 And this Right Hook Loading Please Wait is the perfect example of why. Sure to gain some laughs as well as respect, this shirt is a cut above the rest in its simple design that speaks loud and clear! Available in a few different color options and tons of sizing, this tee is perfect for any boxer or any skill level. Trust me, it’s not as easy as Lomachenko makes it look, but it’s definitely as fun and super satisfying once you start getting better and better at it. This particular reflex ball has 3 different difficulty levels and is great from beginners to professionals. It’s hard to get something for a boxing enthusiast/fanatic that REALLY makes them fill up with joy when they open it. 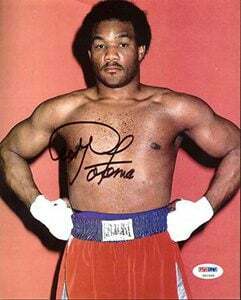 How about a framed photograph of their favourite fighter, which has also been autographed by that fighter? Now THAT would make any serious fan grin with pleasure! 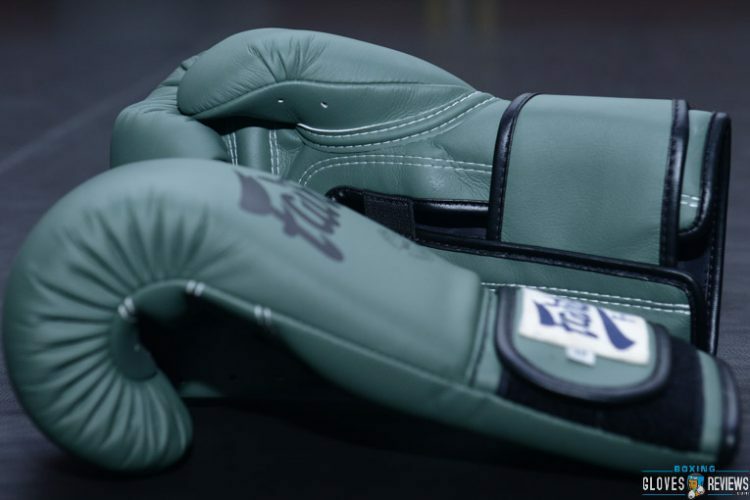 Hykso and Everlast has upped their game with the incredible new Punch Trackers. The Hykso Punch Trackers can actually assist in monitoring punch output, in real time, while also helping you be able to analyze and break down your combos. This means that during training and sparring sessions, fighters will be able to track their sparring sessions while being able to monitor speed and intensity of each session so that you can compare data to better be able to see your progress. 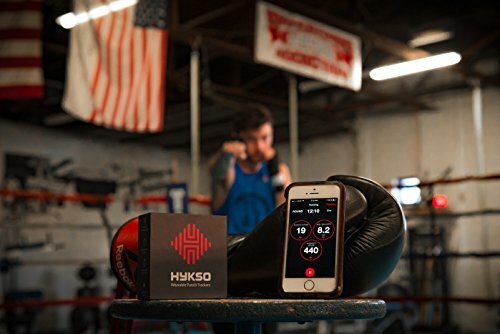 This makes for the perfect gift for the fighter in your life, regardless of skill level as the data that is received from the Hykso Punch Tracker is not only interesting, but it is incredibly useful to help the fighter grow and progress at a much faster rate. If Hykso punch tracker is too expensive, check out Everlast boxing tracker. It’s not as high quality product and well rated as Hykso, but few times cheaper, and I think worth its price. At Sunfrog and other similar sites (see the list bellow) you can choose to make your own t-shirts, hoodies, and more. This is great if you already have a design in mind, but can’t find it in stores. It also makes your Christmas gifts extra special, as the clothing is unique and specially made for the recipient. How cool is that?! There’s more than just regular clothing available for combat sports fans too. 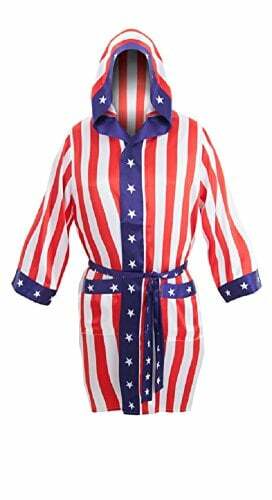 Take for example this Rocky robe. Fans of the movie will love wearing this while lounging around the house. Take a look around on Gift Ideas in Men’s Boxing Clothing on Amazon or www.TVStoreOnline.com for a lot more movie themed boxing items, like Rocky t-shirts, robes, shorts, and even Rocky’s gold cuff-link necklace. Jewellery is always a great gift! 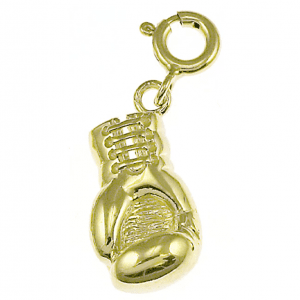 For those who like to wear it and love boxing, there’s a variety of chains and pendants available. This particular pendant stood out to me, made with 14k gold. It may be one of the more expensive ones, but the design really sets it off. So if you know somebody that likes flashy gloves and jewellery, why not get them some ‘glove bling’? Everybody who boxes needs gloves. One set of gloves is almost never enough for a boxer though, so you can’t go wrong with buying them a lovely new pair to use. You might need to find out some details first though, like what type of glove they like, and what size they prefer for training and/or sparring. Some people even like different pairs for different things – I know I do! I like 10oz for pad/bag work, and 16oz for sparring. Take a look around the site and you’ll find reviews for many of the most popular gloves. MMAWarehouse.com and Amazon are great places to start looking for gloves. One of the best gifts for boxers you can get is a high quality pair of gloves. From champions to beginners, there isn’t a boxer in the world who wouldn’t want a pair of top quality Winning or Cleto Reyes. These are some of the best brands available, although they are a bit more expensive, as expected. With that said, at this time of year there are some great deals on, so it might be the best time to grab a pair. We have a great article right here on the “Top 10 Boxing Gloves” to help you make your choice too. Photos aren’t the only thing you can get autographed either. There’s a huge amount of programs, magazines and posters available on some of these sites. 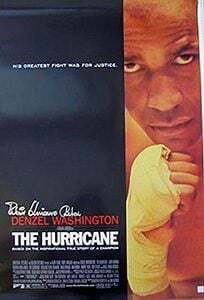 Pictured here is a poster from the movie “The Hurricane”, signed by the real ‘Hurricane’ Rubin Carter. For those people into boxing and boxing movies, you can’t get much better than this. Maybe you need a special gift for your boxer boyfriend, brother, or whoever else you’re buying for. Perhaps that person isn’t in to pictures, posters and things like that. There’s a lot of other signed memorabilia available for them though. 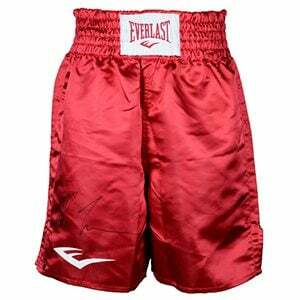 Gloves and trunks/shorts are two of the most popular. You can buy walk out robes, title belts, and even cereal boxes amongst other things. These gifts would be ideal for a collector, or any boxing fanatic. Again, don’t forget the extra links at the end! When buying for somebody new to the sport, protective equipment should be the first thing on your list. A gum shield and a groin guard are the least you will need. You may want to buy a head guard also, as some gyms require them. There are many gyms that don’t though, so it usually comes down to the person’s preference. These are not only very thoughtful things to buy, but they will also be very useful. Again, MMA Warehouse and Amazon are great places to check out. Training equipment is something we all want to have. The main reasons we don’t are usually space, and the cost of the equipment. Maybe you know a boxing lover that doesn’t have a space issue, or even a coach with their own gym. Either way, boxing equipment is a huge concern for people that train often. 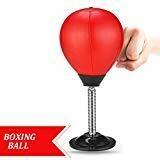 There’s no shortage of items you can buy here, from big space-taking equipment like heavy bags, speed bags, and even a ring if you’re mega-rich, to the smaller things like skipping ropes, focus mitts, and body shields. Take a look around on sites like https://www.mmawarehouse.com/collections/punching-bags for more ideas. They are also having a great Black Friday sale, so get in there quick! Is the boxing lover in your life also regularly sat at a desk? If so, this gift is ideal for you. They can place this punch ball on their desk and give it a whack any time they’re feeling stressed. It’s fun, it’s unique, and it’s useful. What’s not to like? 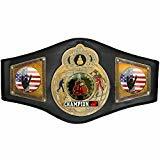 Make the person you’re buying for feel special by awarding them their very own championship belt. After all, everybody wants to be a champ at some time! You can get imitation belts all over the net, with Amazon being a great place to look for them. Some of the speciality sites for boxing memorabilia also do signed versions of these belts, so you can make the gift even more special if you want to. Here’s one for in the car. You can get glove mirror ornaments in all kinds of designs. Some are plain, some have sports team logo’s on them, others have national flags or cities on them. There really is something for everybody here if you look around enough, and they make an excellent stocking filler as they are pretty small and also quite cheap. We hope you enjoy these great Christmas gift ideas for boxers & boxing fans. Check back soon for more great reviews! Do you have any other ideas? Please share in the comment section below! Lol! Like the mug! Good job! I’d definitely would add protein shake! Great article. Love the massive gloves! Hey great post! Love the boxing glove beer mug haha. Great blog..!! 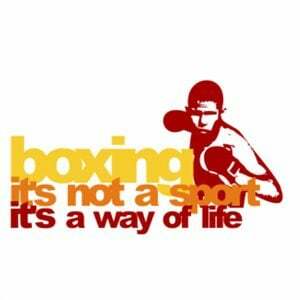 All the products are worth giving to a person who is involved in boxing or any combat sports. My favorite one are Training & Sparring Gloves from Yokkao to gift your loved ones. Thanks for the blog.